So the second Cornwoolly is done – another fabulous event but with an added last-minute twist of snow! Thankfully the day started off with clear blue skies and full sunshine, so most visitors arrived early with the snow forecast for the afternoon. It arrived exactly as predicted and the show had to finish early, but everyone got home safely. Despite being shorter than planned – and with a few stallholder cancellations due to being snowed-in – the show was as enjoyable as last year, with even more visitors and lots of chatting, inspiration and project discussion. Our new shawlette pattern proved a big hit (more on that next time! ), as did our kits and pure yak yarns which are unbelievably soft and lightweight. 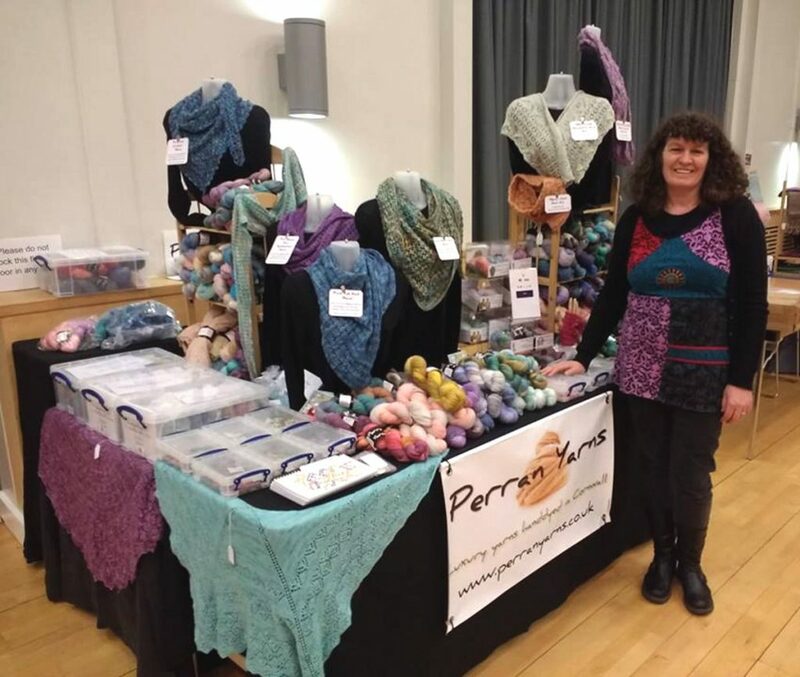 A local show is ideal for this kind of yarn, as you really do need to see (and feel) it to believe it! A huge thank-you to Sue for organising the day again, and to Heartlands for hosting it. We’re looking forward to the next one already!